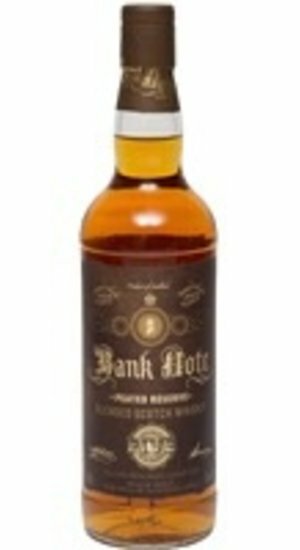 Bank Note Peated Reserve incorporates a small proportion of Islay peated malt into the unique blend of pure Lowland Grain, sweet Speyside, and robust Highland malts, without distrubting the balance. Bank Note Peated Reserve incorporates a small proportion of Islay peated malt into the unique blend of pure Lowland Grain, sweet Speyside, and robust Highland malts, without distrubting the balance. A minimum of 5 years in American Oak ensures this singular expression encapsulates the very best that blended scotch whisky has to offer, with fruit, spice, and a distant smoke, all perfect in harmony.